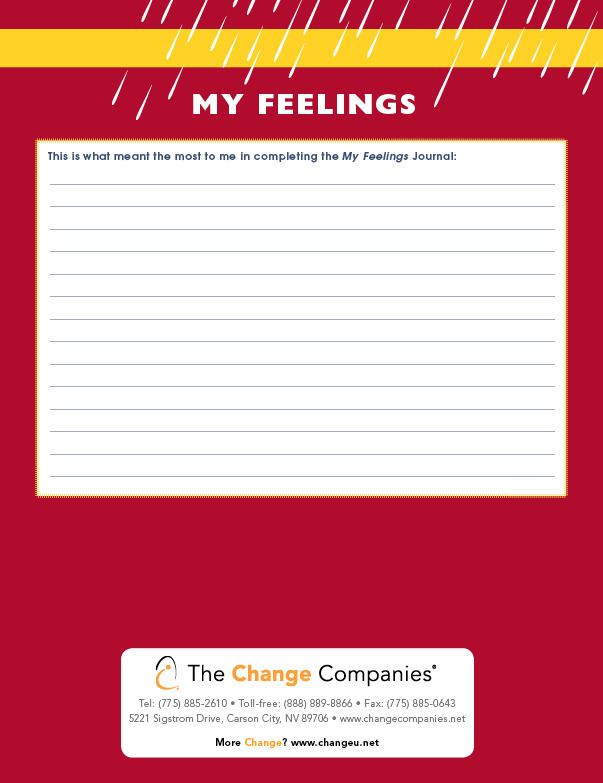 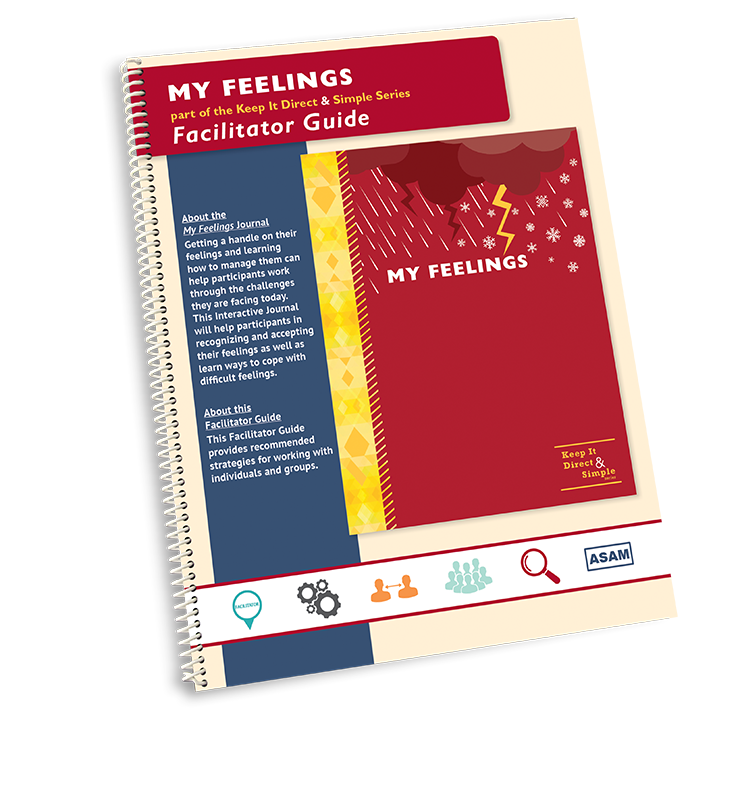 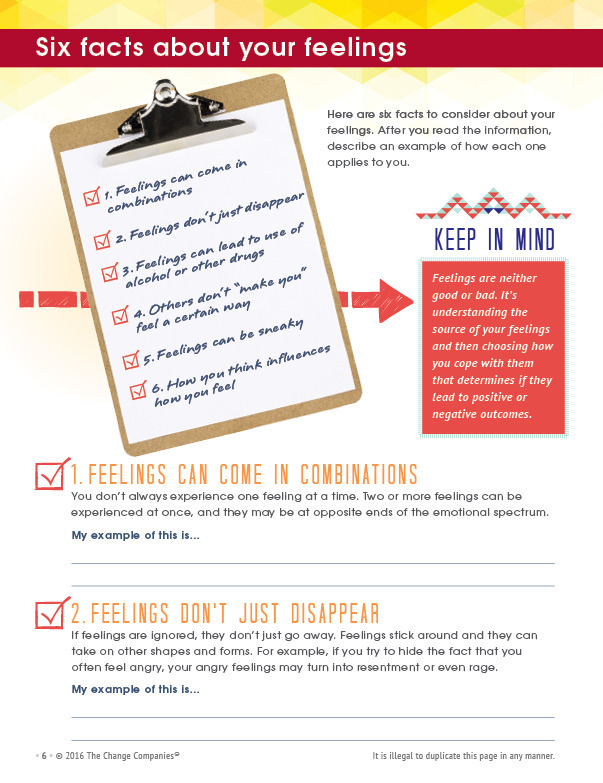 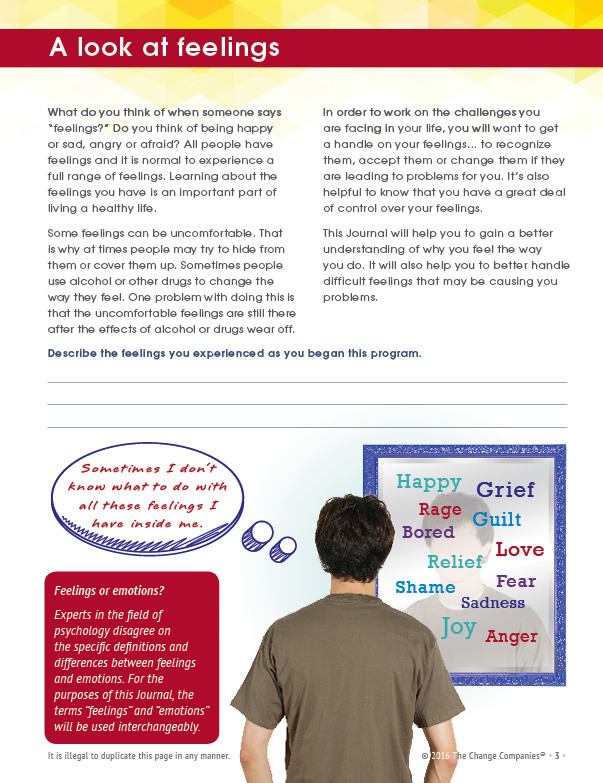 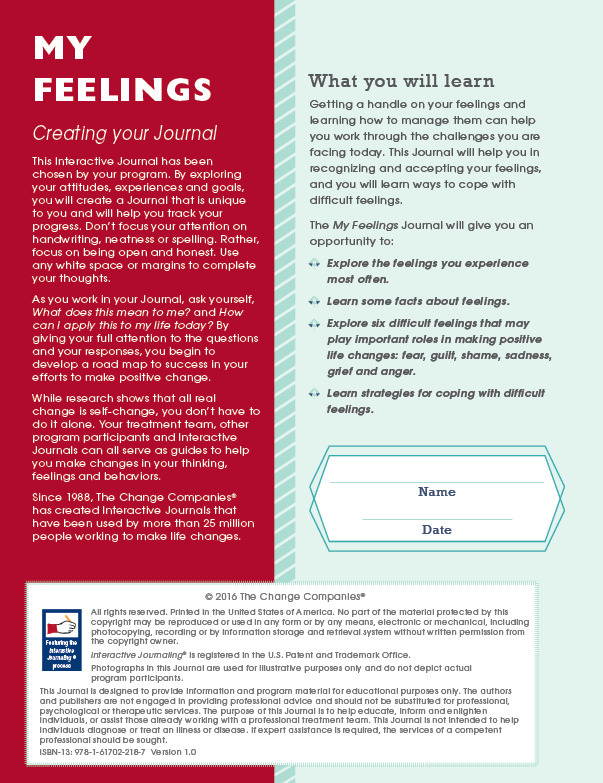 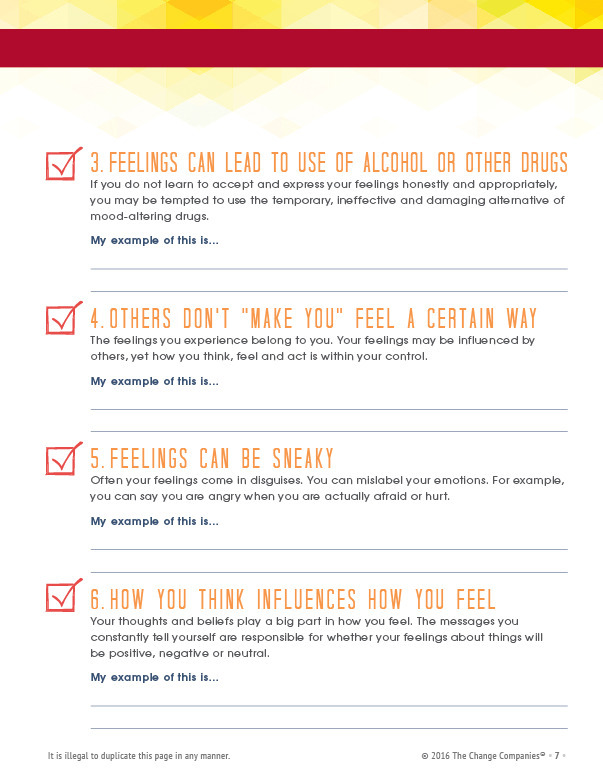 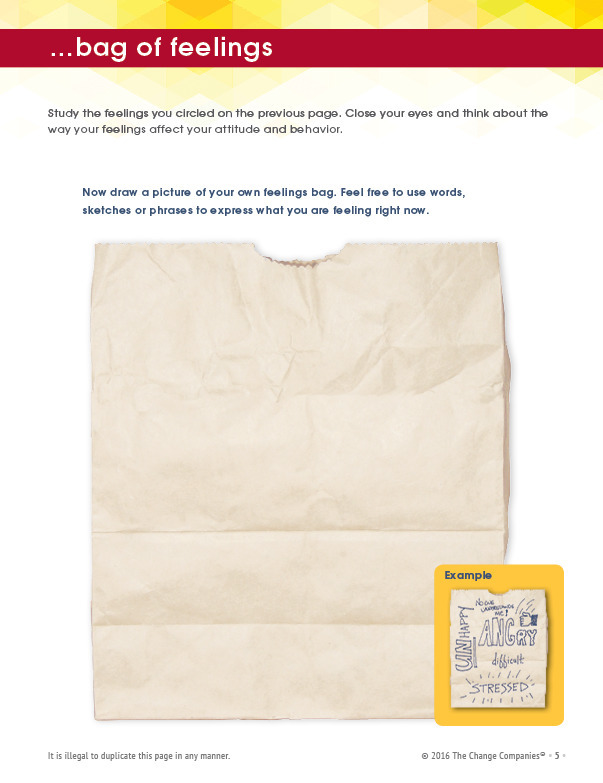 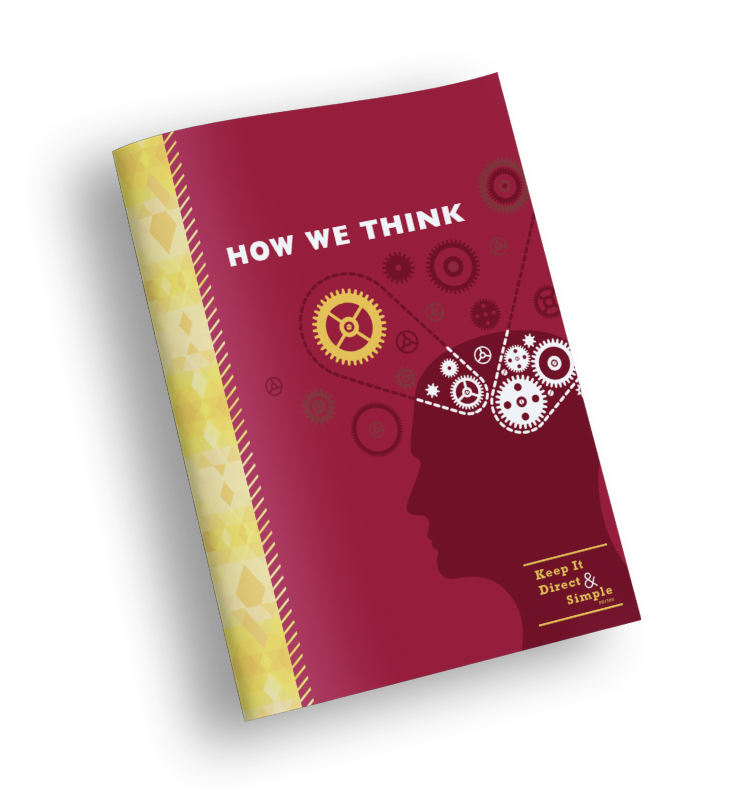 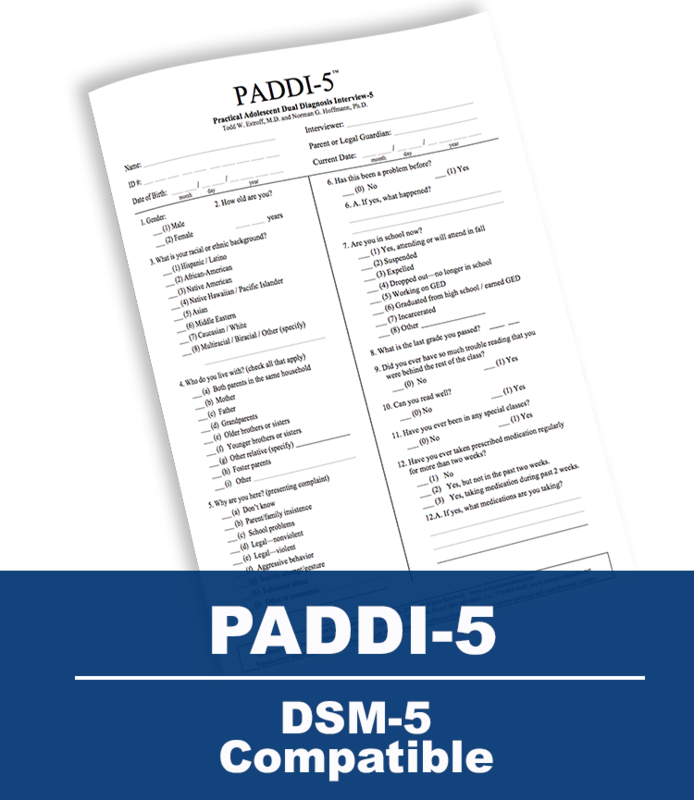 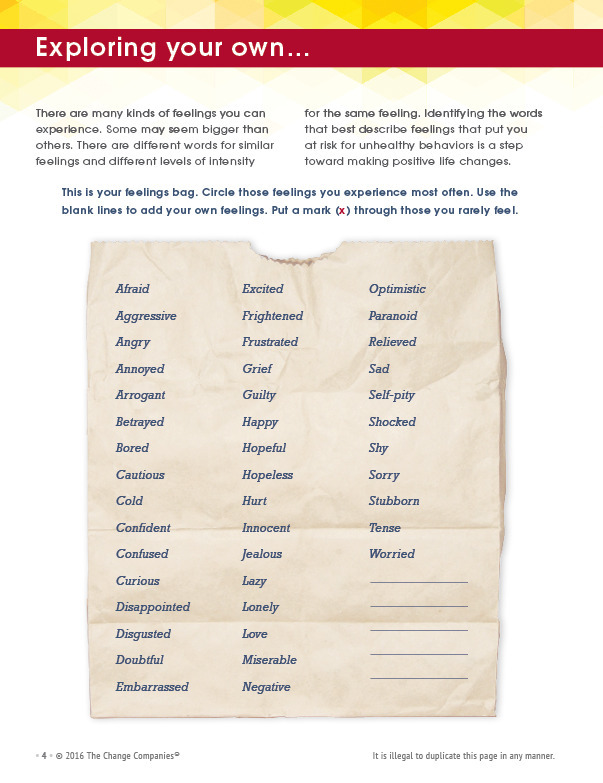 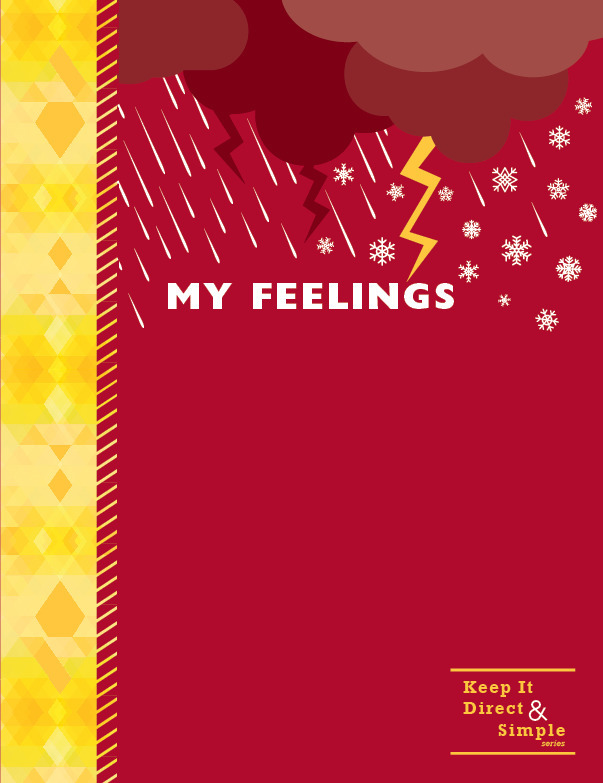 Getting a handle on their feelings and learning how to manage them can help participants work through the challenges they are facing today. 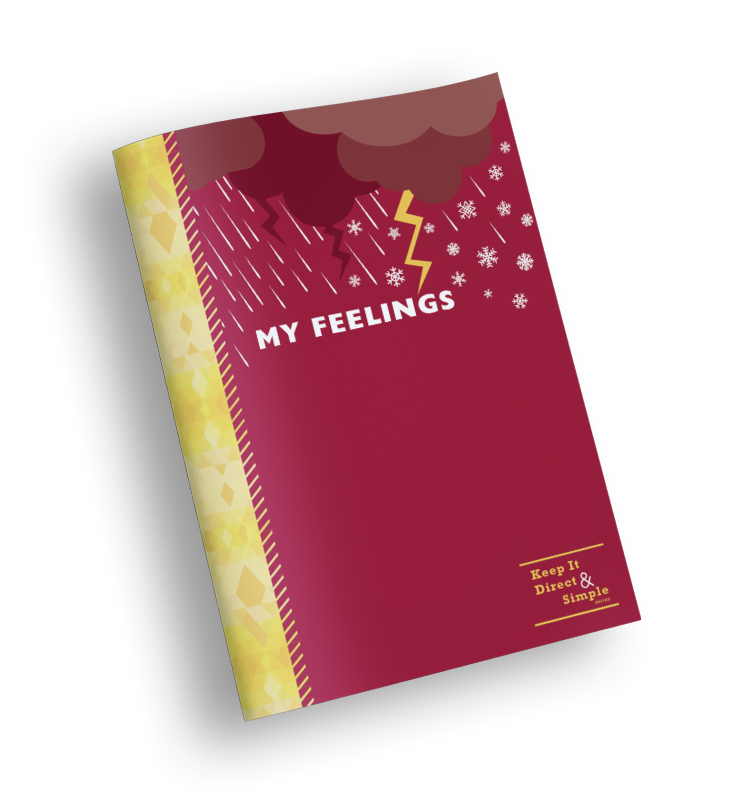 My Feelings will help them to recognize and accept their feelings such as fear, guilt, shame, sadness, grief and anger. 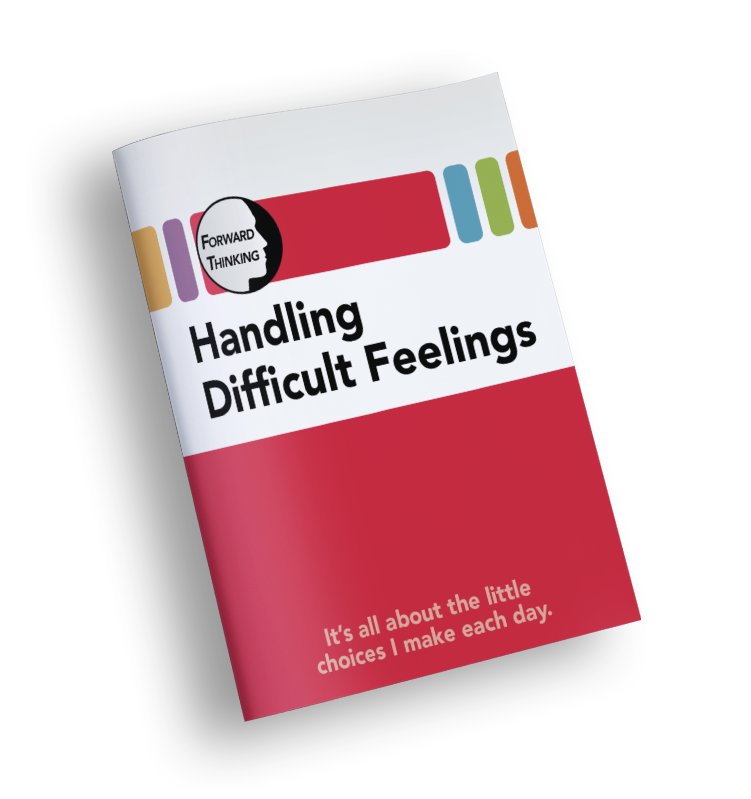 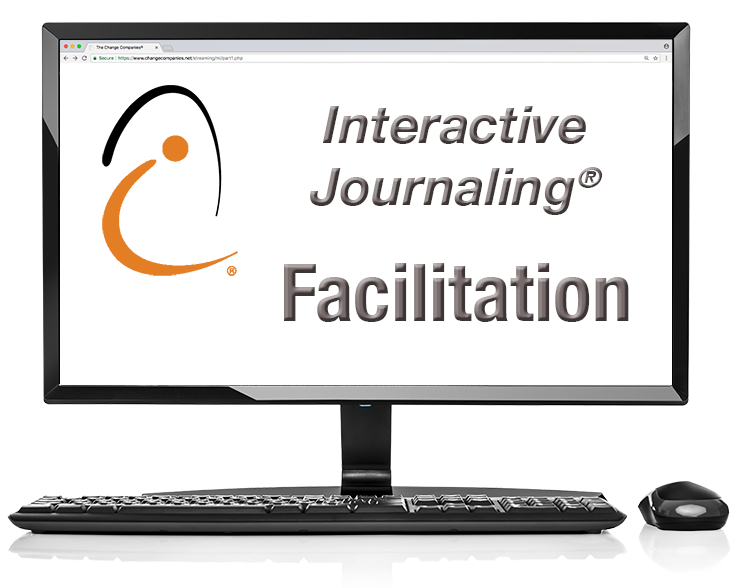 Participants will then learn and practice strategies for coping with difficult feelings.